Kevin Durant’s decision to leave Oklahoma City to sign with the Golden State Warriors last summer was partially justified by the Warriors advancing to the NBA finals this week. Prior to signing with the Warriors, Durant visited with six teams in five different states. The tax consequences in those five states varied and although Durant’s decision to sign with the Warriors seems to have paid off, there is still a cost, and that cost is the additional tax he will pay to the State of California. California’s top tax rate of 13.3% is over 3% greater than Maine’s 10.15% which is the second highest rate in the United States. 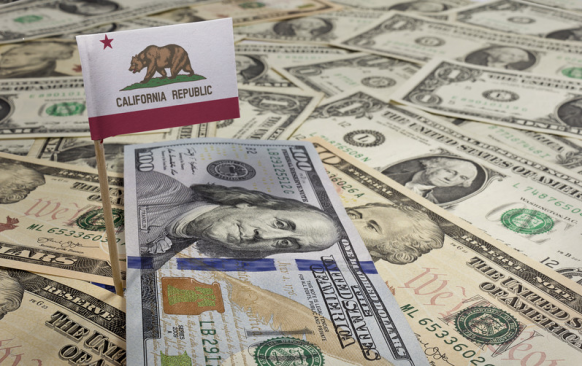 The cost of playing in California can be substantial and although it shouldn’t be the only consideration when signing with a team, it should be understood when weighing multiple contract offers. Since each team will have their own unique tax liability based on their resident state and the additional non-resident state and city taxes their players pay, its best to use the after-tax value when comparing multiple contract offers from various teams. Keven Durant’s two-year contract with the Warriors with the ability to option out after one season was negotiated and reported as $54,274,505. When you consider that Durant will be exposed to tax in not only California but up to 28 different states and cities playing with the Warriors, Durant’s contracts net value is only $27,103,910. Considering that Durant could have played for teams in five other states, we can compare and then determine the cost of playing for Golden State this season. Using Oklahoma City, Kevin Durant’s previous team as a bench mark it can be determined that by signing in Golden State, his after tax value on his contract was $2,458,972 less than the after-tax value with the Thunder for the same contract value. In addition, as the chart below demonstrates, Kevin Durant’s contract also fell significantly below that of the Celtics, Spurs and Heat. Although money is not always the determining factor in where a player signs, understanding the effect that taxes play on their contract value provides athletes with valuable knowledge when entering into the open-market as a free-agent. Durant’s decision to chase a championship is not without cost and in his instance the opportunity to play for one will have cost him at the minimum $2,358,972 and at the maximum $4,236,493 in net salary over the term of his contract. In hindsight, Durant’s decision at this time seems to have been a wise investment.